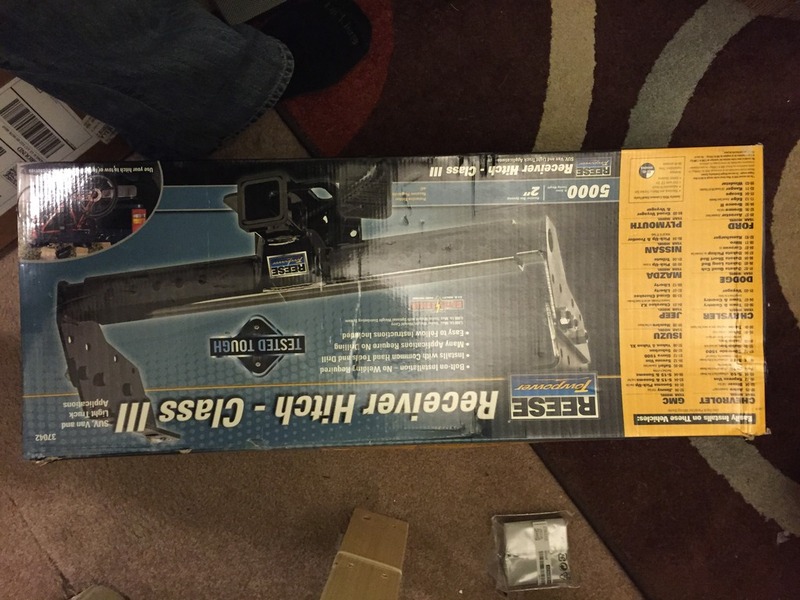 I took my hitch off to install new leaf springs and misplaced the mounting hardware. 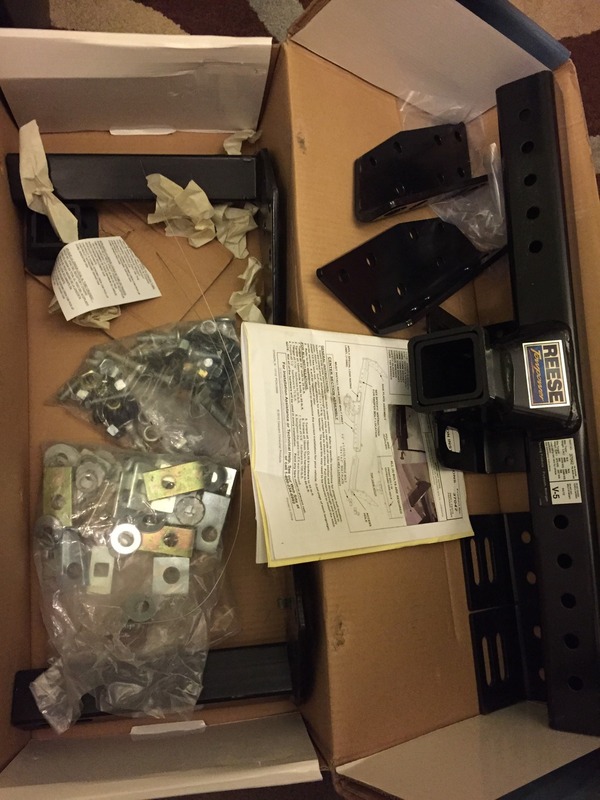 I used the carriage bolts and the plates that best fit my XJ (three plates and six bolts) to reinstall my XJ specific Curt hitch. Everything else that came in the box is stil there. 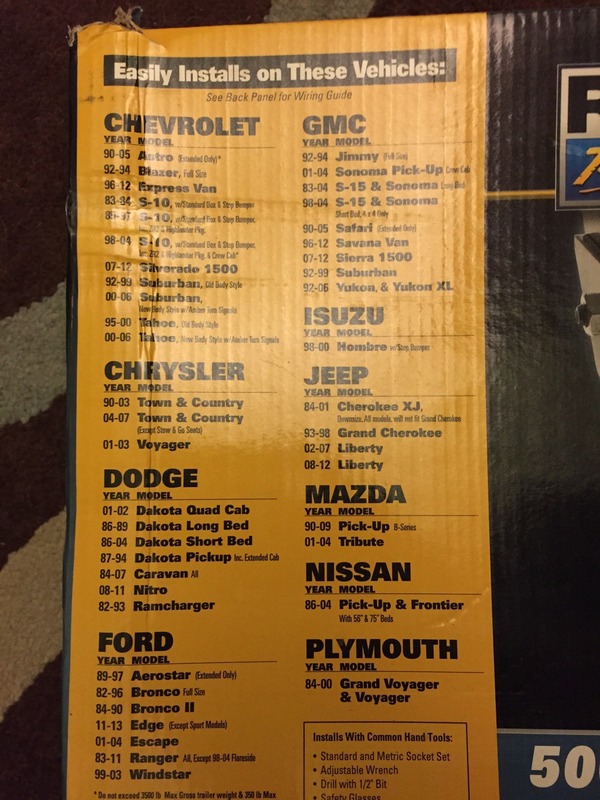 It should fit most of the vehicles listed on the box as-is. To fit an XJ new bolts will be needed and possibly a couple nut plates or nut strips. I'm still unpacking from the move and expect to find most of the bolts and nut plates I removed during the leaf spring installation. Local pick up only. This thing is stupid heavy and I'm definitely not shipping it. I live in Ogden, Utah but drive to South Salt Lake on Thursday mornings for class. I am willing to go as far as Draper if someone wants to meet for it, but it would have to be on a Thursday around lunchtime. I would so buy it right now too bad i live in Alabma. 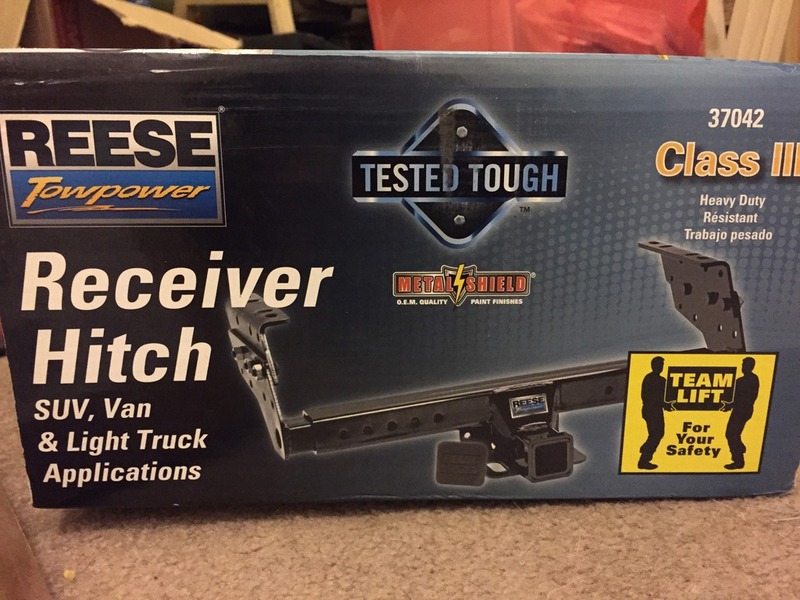 I've still got this thing... $25 if anyone is in Ogden, UT to pick it up. Box is a bit faded now, but I did find a handful of carriage bolts and a single nut plate to replace the hardware pieces that I used.